Dr Bhandari’s Research and Actions in Plastic Surgery and Other Surgeries are Unique Contribution in Medical Area. Congratulations to Him and His Team. Dr PS Bhandari is one of the most experienced Surgeons in the management of adult as well as birth related brachial plexus injuries. 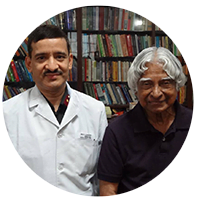 He has been the Head of Reconstructive microsurgery at Army Hospital (R&R) New Delhi and AFMC Pune. He has given numerous invited presentations nationally and internationally. His new approaches and techniques have been published in the Journal of Hand Surgery (American Vol) and Journal of Neurosurgery Spine (Am) and being practiced across the globe. 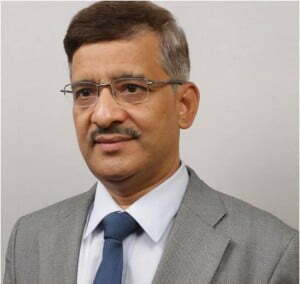 He has been the past President of Indian Society of Peripheral Nerve Surgery (ISPNS, 2013- 2014) and a past Executive member of Indian Society for Surgery of Hand (2010-2012). 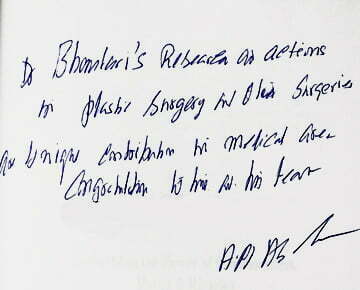 Presently he is the President of Brachial plexus surgery group of India. He is Editor in chief of Journal of Peripheral Nerve Surgery. He is also in the governing council of Association of Plastic Surgeons of India (2013 – ). He is Deputy editor of Indian Journal of Plastic Surgery (2015 – ) and a editorial board member of Indian Journal of Neurotrauma (2012 – ). A traumatic injury of the brachial plexus (nerves that provide motor power and sensations to the shoulder, arm and hand) can have devastating consequences, including loss of function and chronic pain in the affected upper extremity. Functional impairment of an upper limb is likely to have considerable degree of work loss as well as psychological distress. Fortunately, new advances in micro neurosurgery can yield marked improvements in movement and function in the shoulder, elbow and hand while simultaneously diminishing pain. Injuries for which restoring function would have been impossible only two decades ago are now being treated with nerve reconstruction, thereby increasing the possibility of a return to an active, productive life. A brachial plexus injury occurring during birth is called birth brachial plexus palsy or obstetric brachial plexus palsy. This occurs in 1.5 of every 1,000 live births. Larger babies in difficult deliveries are particularly prone to this injury. Erb’s Palsy refers to an injury to the upper roots of the brachial plexus leading to loss of function around the shoulder and ability to bend the elbow. Klumpke’s palsy refers to an injury of the lower roots of the brachial plexus leading to loss of motion in the wrist and hand. While the majority of obstetrical brachial plexus palsies may be managed nonoperatively, a noteworthy proportion of patients will necessitate microsurgical reconstruction in order to optimize long-term functional outcome, especially those presenting with a total palsy and a Horner’s syndrome. The lost functions at the shoulder, elbow and hand are regained by nerve grafting, neurolysis and nerve transfers. An early surgical intervention results in better functional outcomes.